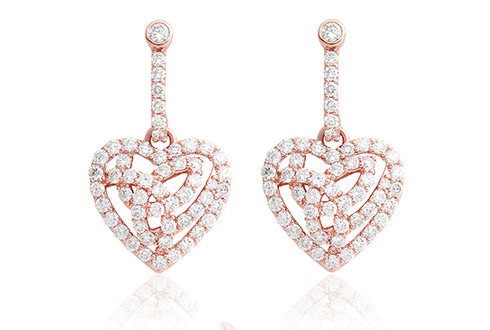 The Eternal Love diamond drop earrings combine a stunning design with expert handcrafting and high-quality materials to produce a truly stunning piece of jewellery. Featuring 52 brilliant diamonds set in 18ct rose gold, the Eternal Love diamond drop earrings are stylish and classically-beautiful. Within the eye-catching rose gold you'll find rare Welsh gold, which has a reputation for its scarcity and its historic connection to the British Royal Family.